Wearever offers 100% cotton socks made by Buster Brown for maximum comfort and durability. Appropriate for those with poor circulation, easily irritated skin, or diabetes, Buster Brown 100% cotton socks are made with no elastic or synthetics. The seamless design of Buster Brown cotton socks with cushioning improve comfort, reduce binding, and eliminate skin irritation. 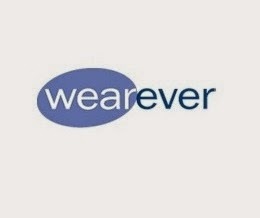 Wearever currently offers three comfortable styles of socks. I love these socks. So comfy!